Although it's America's fourth-largest state in area, Montana (with a statewide population of about a million) doesn't have any major cities or hubs of LGBT culture. It is not, however, as conservative a state as you might think, and many of the state's cities—particularly Bozeman and Missoula—have visible gay communities and very welcoming attitudes. 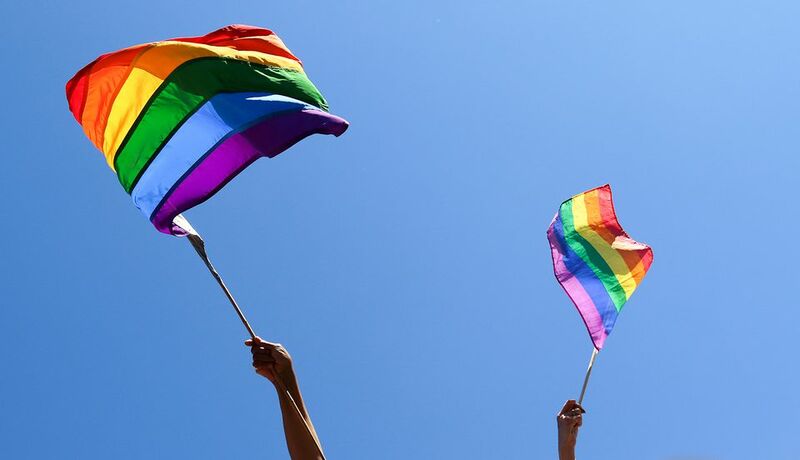 However, given that no single community in Montana has a true LGBT stronghold, it makes sense that the annual Montana "Big Sky" Gay Pride Celebration, which typically occurs in mid-June, takes the novel approach of rotating among several communities and is held in a different city each year. This year Big Sky Gay Pride takes place in the ruggedly beautiful town of Helena, on the weekend of June 14 through June 17, 2018. This site was the original home of the first Montana Gay Pride Celebration 25 years ago, and according to the company's website, the organization is extremely excited to be "coming home" to create this year's event. Big Sky Gay Pride typically consists of three days of events, starting on Friday when you can drop by wherever headquarters is (to be determined, January 2018), pick up information, and hang out with organizers and fellow attendees. There's also typically a Burlesque Show and a Dance Party later that night to kick off the festivities. Here's a full calendar of Montana Gay Pride events, which also includes some gatherings earlier in the week, which have featured such events as Movie Night, Men's Pride Night, Women's Pride Night, Big Gay Cabaret, and a few fund-raising parties in the past. The Montana Big Sky Gay Pride Parade usually commences at 11 am on Saturday—you'll find details about the route here—and, following the parade at noon, there's typically a gay pride rally near the city center. Throughout the rest of the day, there are several fun events, including a block party (which runs into the evening), Bears & Brews, a Drag Extravaganza, an After-Party, and all sorts of other gatherings, workshops, and performances. It's a pretty eclectic and action-packed day, generally speaking! If you're headed to Montana for Pride this June, be sure to have a look at the visitor site produced by the Montana Convention & Visitors Bureau. Arguably the top gay travel destination in the state, the city of Missoula doesn't have any specific gay bars, but it is home to plenty of mixed and gay-friendly hangouts. The Western Montana LGBT Center, in Missoula, is a good resource for information on the entire state. For tips on traveling to Missoula, check out the visitor site produced by the city's official tourism organization, Destination Missoula. Also with a good-sized gay scene is Bozeman—you can learn more about visiting at that city's website.